In the 1960s and '70s, an era which produced some of drag racing's most colorful characters, none was more colorful than Richard Tharp, the talented Texan who won the 1976 NHRA Winston Top Fuel championship for Paul Candies and Leonard Hughes. Tharp developed a reputation early on for driving anything on the track. In the 1960s, he drove dragsters on the Texas Pro Fuel Circuit for Tulsa, Okla. legend Bob Crietz, and later for California-based team of Rocky Childs and Jimmy Albert. Besides being remembered for his outrageous antics off the track, Tharp, who associated with a fast crowd that included country-and-western legend Willie Nelson, rodeo champion Larry Mahan and Dallas Cowboys linebacker Thomas "Hollywood" Henderson, is also widely considered one of the sport's finest pure drivers. Tharp preceded and followed three-time Winston champ Raymond Beadle at the controls of the legendary Blue Max Funny Car. In the early '70s he crisscrossed the country on the match race circuit. Driving the original Blue Max Mustang for car owner Harry Schmidt, he booked 96 dates in one year. Although he won five Funny Car races on the IHRA circuit for the late "Big Mike" Burkhart, Tharp really didn't begin to attract a lot of NHRA attention until the summer of 1975 when he became the first driver to break the six-second barrier at Old Bridge Township Raceway Park. 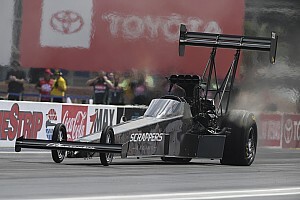 Driving a Top Fuel dragster campaigned by Texas brothers Curt and Bones Carroll, Tharp crossed the finish line on fire, in 5.97 seconds, thereby claiming the No. 1 qualifying position for the 1975 NHRA Summernationals. He didn't win his first NHRA national event, though, until teaming with Candies and Hughes. 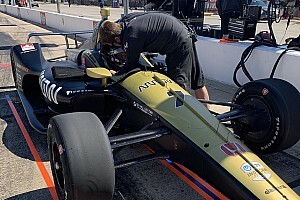 In six seasons and 46 starts with the Louisiana-based team, Tharp reached the final round nine times and won five races, including the prestigious U.S. Nationals at Indianapolis Raceway Park in 1976. Out of the sport in 1982, a season in which he drove USAC midgets, Tharp came storming back in '83 at the controls of a Texas-based dragster owned by Mike Kilpatrick and Mark Connell and tuned by Bill Schultz. He reached the finals twice in nine starts and beat Shirley Muldowney to win the 1983 Springnationals in Columbus, Ohio. He took his last driving turn in 1988 when he briefly drove the Blue Max Funny Car in a failed comeback attempt. Although he competed in an era in which eight races comprised a full season, nine at the most, Tharp posted an 82-46 record in head-to-head competition with the likes of Muldowney, Gary Beck and Don Garlits. The 57-year-old Las Cruces, N.M. native, now a Dallas auto broker, was initially involved in sprint car racing. After moving to Texas, though, he quickly found his niche in professional drag racing. NHRA's Top 50 Drivers will be unveiled on NHRA.com and through the pages of National Dragster, in reverse order throughout the 2001 season, with a schedule leading up to the naming of the top driver at the Automobile Club of Southern California NHRA Finals at Pomona Raceway on Nov. 11. 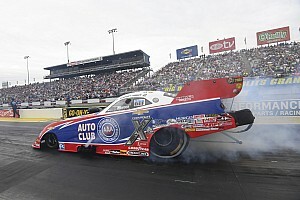 As NHRA celebrates its 50th anniversary in 2001, it has emerged as one of the most popular spectator sports, highlighted by a $50 million, 24-event, nationally televised tour. 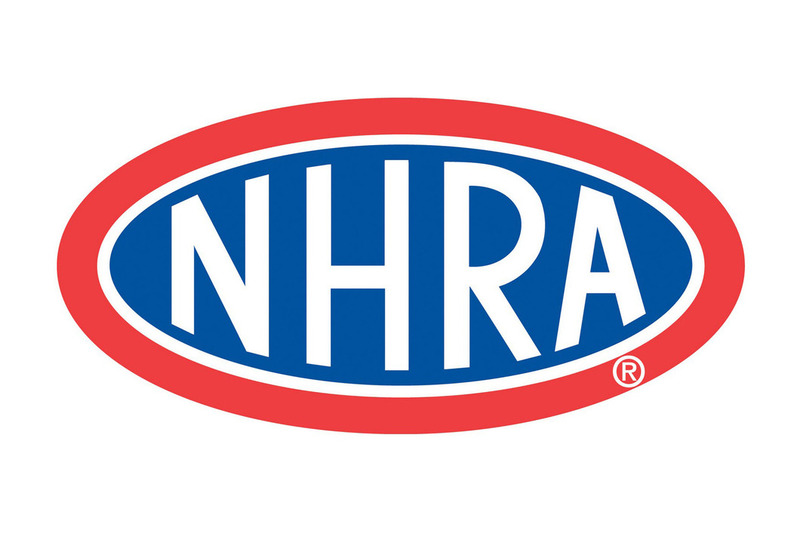 The NHRA has developed into the world's largest motorsports sanctioning body, with more than 80,000 members nationwide, and more than 140 member tracks.